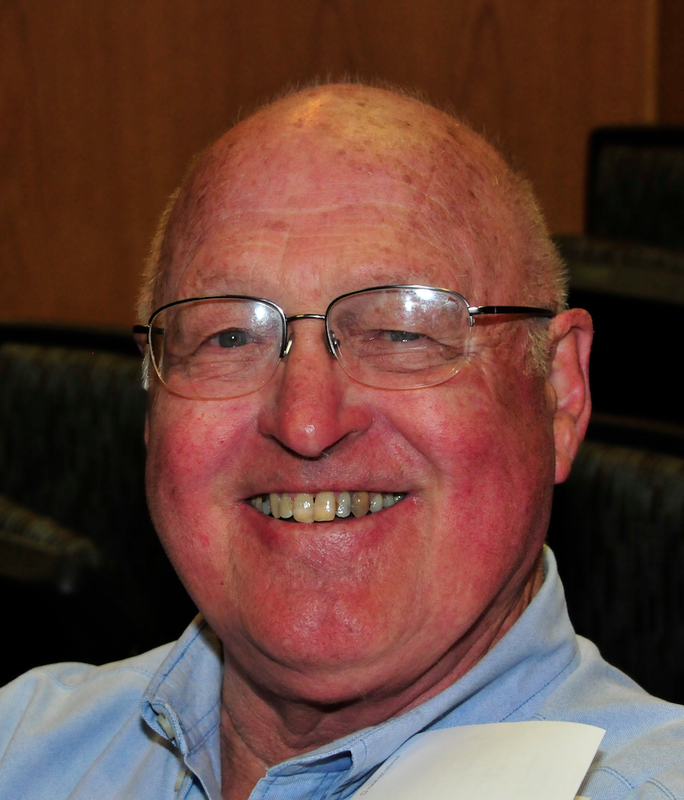 Carl Van Appledorn, friend, Nesbit alumnus, and colleague, passed away last week. Carl trained under Jack Lapides and fulfilled an illustrious career as a superb urologist and beloved physician at St. Joseph Mercy Hospital. 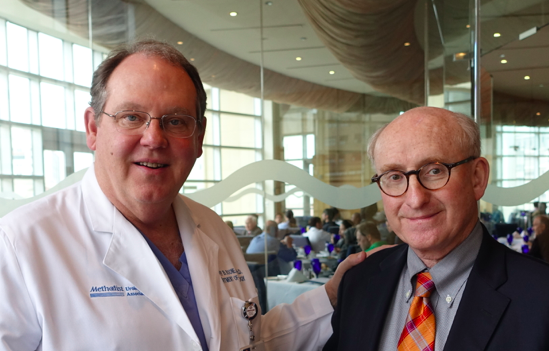 He spent a mini sabbatical in pediatric urology in Cambridge, England working with Bob Whitaker and when I came to Ann Arbor, Carl welcomed me most generously although I was “the competition.” We talked periodically about patients and I admired his work and gracious manner. As a University of Michigan and Nesbit alumnus, he supported his alma mater to the hilt. Later in his career Carl and his wife Sue developed an interest in international health for the underserved and they focused their attention in Ghana. Among other efforts, they facilitated care for a youngster with bladder exstrophy whom they brought to Ann Arbor and Mott Children’s Hospital with his mom for reconstructive surgery by John Park. The Van Appledorns generously created an endowment between the departments of Urology and OB/GYN for clinical and educational links to Ghana and the program is ongoing and growing. Carl’s passing is sad news indeed, but his name will carry on with his global program. 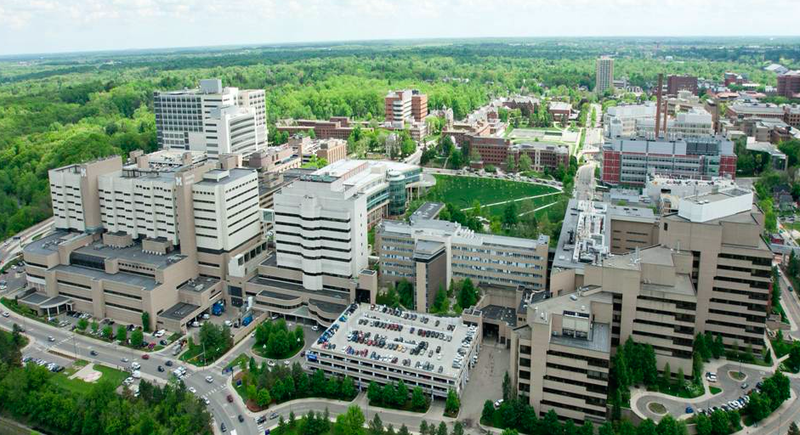 Ann Arbor and the University of Michigan Campus are especially lovely just now (shown above from the west side of the Cardiovascular Center last year). Cold days and wintry mixes are over and we are primed for spring. May brings, among other things, academic commencements, watershed moments when change is in the air. Last month in this column we referred to a commencement address by President John F. Kennedy at American University in 1963, for its relevance to environmental stewardship. With Cuba “back” in the news recently, Kennedy’s speech is also relevant at a geopolitical level. In the aftermath of the Cuban Missile Crisis of October, 1962, when a showdown with the Soviet Union took us very close to the brink of nuclear war, Kennedy knew that world security was precariously dependent on constructive dialogue with our adversaries and his commencement address, called Strategy for Peace, helped turn the tide of the escalating confrontation and ushered in an improved era of diplomacy. A cautionary phrase from the speech is worth repeating again this month: “For in the final analysis, our most basic common link is that we all inhabit this small planet. We all breathe the same air. We all cherish our children’s futures. And we are all mortal.” Thanks to the Internet, you can scour the world for notable commencement speeches, that while typically forgotten in the momentary excitement of most graduates and families, are retained the collective human memory of newspapers, libraries, and YouTube clips. An NPR web site (npr.org) lists 354 of The Best Commencement Speeches, Ever. Even when unconnected to graduations, speeches may open opportunity for commencement of a new idea, if an audience picks up on it. The same opportunity had been missed seven years before the Semmelweis speech when Oliver Wendell Holmes advanced the contagiousness concept at an evening scientific meeting of the Boston Society for Medical Improvement, yet the idea gained no traction. In 1867 Joseph Lister working in Glasgow wrote 2 papers in The Lancet that conclusively showed how antiseptic techniques converted the universal fatality of open fractures into probable survival, yet colleagues again failed to accept the idea. Listerian antiseptic methods were first only appreciated by German physicians and the idea diffused slowly back to England and the rest of the world over the next 20-30 years. Even today, we could do a better job of regular handwashing (actual washing, rather than “Purell” propaganda, in vogue today). Failure of commencement of the ideas of Holmes, Semmelweis, and Lister is another cautionary tale for us today. A quote on a cover of The Lancet several years ago sums it up well: “The most entrenched conflict of interest in medicine today is a disinclination to reverse a previous opinion.” [Yudkin, Richter, Gale. Lancet 377:1220-1221, 2011.] While academic health centers have self-righteously implemented stern conflict of interest policies, we seem oblivious to the proven fact that it is not the ballpoint pen with drug company logos or the pizza from surgical suppliers at grand rounds that we have to fear, rather it is our own prejudices that close our minds to new ideas. This month the UMMS will graduate its 166th class of medical students. 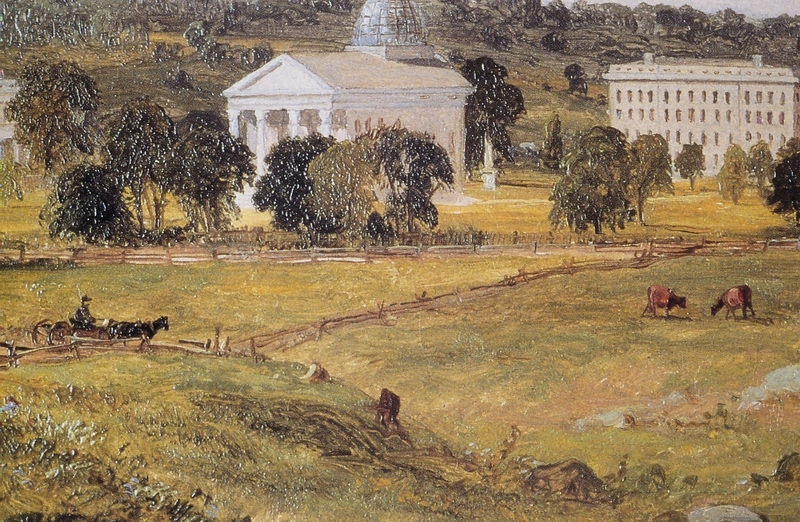 Back in 1850, when Semmelweis spoke to an unreceptive audience in Vienna and cattle grazed in front of the Medical School in Ann Arbor, Michigan’s first M.D.s were about to go out to independent general practices in a world quite different than today. What inspired those students to study medicine then is a matter of conjecture for us now, but it is likely that role models, the ability to help people, the respectability of the occupation, and perhaps some attraction to body of knowledge of human disease, were motivational factors. Those same motivational factors are at play for our class of 2016 about to graduate, but newer attractions such as the magic of health care science and technology, cures for cancer, and surgical wizardry including robotics, lure many of young people to medicine now. Some students are also inspired by deep personal and family health care experiences. What is also different now from the 19th century is that after graduation nearly the entire class of 2016 will continue further formal education in residency training for 3-10 additional years before they are ready for independent work in one of nearly 150 areas of focused practice. While the curriculum and conceptual basis of medical practice have changed enormously, the spirit of professionalism and necessity of continuous learning through experience, reason, and study have remained constant. Medical school and residency training are now just a start. Even back in 1850 medical societies and professional journals played key parts in what we now call professional development. Students and physicians, even more readily today, travel to distant sites of expertise to improve knowledge and skills. In today’s world, conferences, visiting professorships, and web-based educational programs intensify learning experiences as knowledge and technology accrue with dizzying speed. 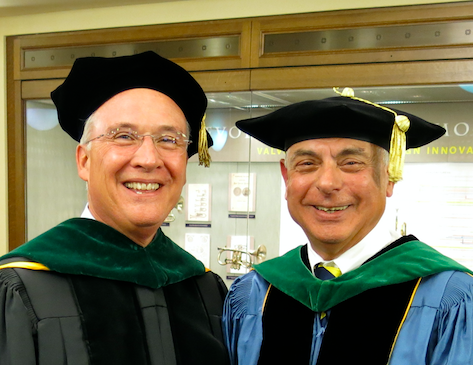 This picture shows former Dean, Jim Woolliscroft and former Interim EVPMA, Michael Johns, at Medical School Commencement several years ago. As of January 1 this year those two jobs have been rolled into one, namely Marschall Runge (seen below), an equally great role model for students, residents, and faculty. Jim will be our Medical School commencement speaker later this month and I’m sure he is focusing intensely on his remarks right around now. 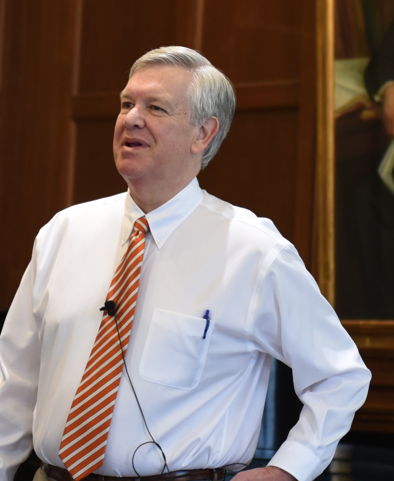 Our rich history at Michigan and the changing world of medical practice, education, and research may enter his speech, and I bet he will also have something to say about professionalism and the lifelong learning required of physicians today. Role models often conflate into ideas and images of idealized doctors. 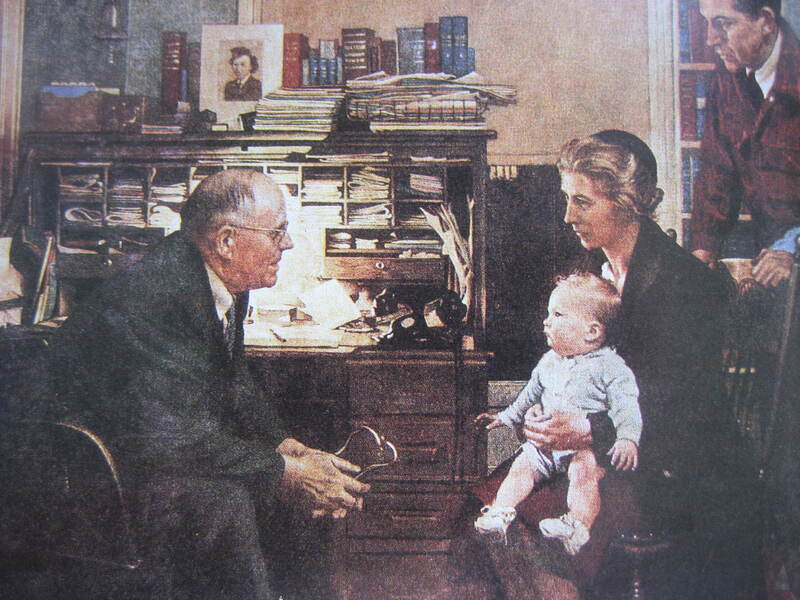 Last month we contrasted Norman Rockwell’s idealization (shown below) to the crayon artistry of a 7-year old girl illustrating a clinic visit: the family is looking at the viewer while the physician is turned away facing the computer while dutifully documenting the encounter. In our brave new world of technology, computerized documentation is a poor surrogate for the essential transaction of the doctor-patient relationship. The classic role model of the attentive, kind, and expert physician will become only more highly prized and that should be the Michigan Difference in our medical graduates, trainees, and faculty. It turns out that Rockwell’s idealized physician was an actual doctor named Donald Campbell and I learned this through Maria Muller of our development office, who wrote me after she read Matula Thoughts in March, that Dr. Campbell was the grandfather of a friend of hers. 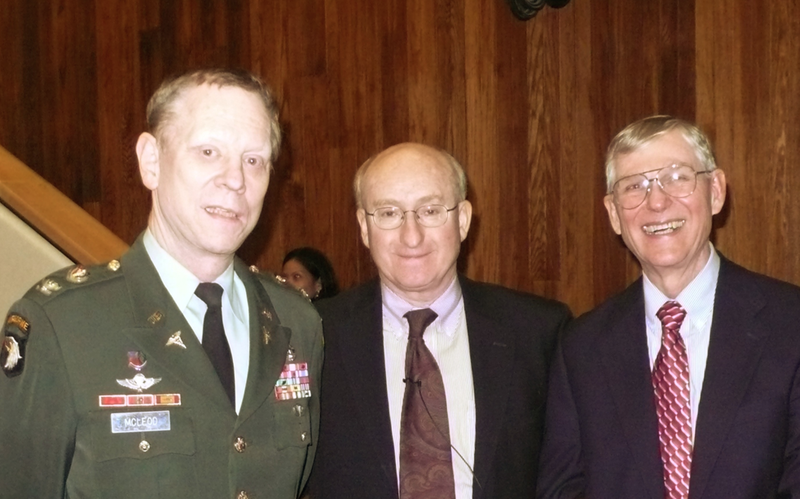 After residency training at UCLA I went on to obligated military service at Walter Reed Army Medical Center under Ray Stutzman and David McLeod, enjoying my time so much that I stayed for an additional 2 years, leaving when Ray retired from the Army to join Patrick Walsh at Johns Hopkins. Dave is still in uniform in Washington. At Walter Reed I re-encountered an older friend of my family who was working at its Institute of Research (WRAIR). This distinguished physician became my patient, in fact his was the last radical prostatectomy that I performed in an adult. Long gone now, he told me at the time that it had been his idea to create the weekly section in JAMA called A Piece of My Mind. How accurate this claim is I have no way to know, but without reason to doubt him I’ve been regularly attached to this column and frequently refer to its essays. Three recent ones are of particular interest. I had initially missed the third essay, until it was sent to me by an extraordinary applicant to our OB/GYN residency. Caiyun Liao is an MD/ MPH doing research at Johns Hopkins and I got to know her through our Nesbit alumnus Sherman Silber. 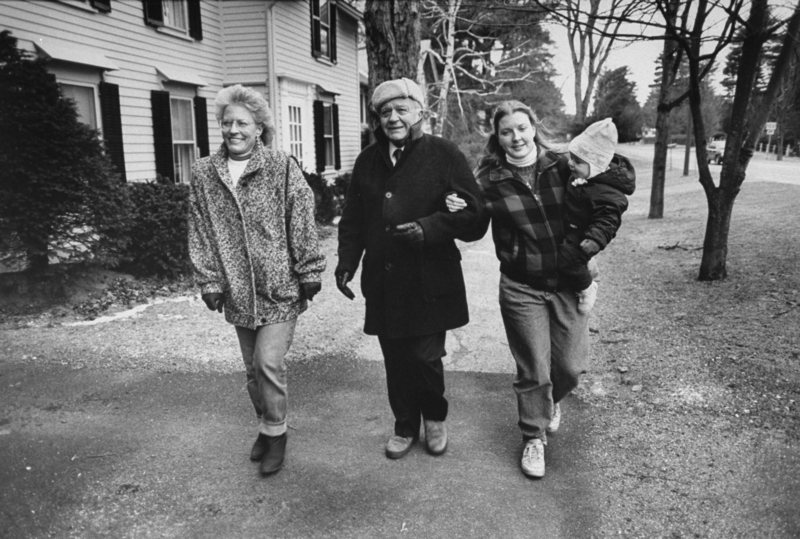 The article is called A Place to Stay and was written by Yale physician Bennett Clark. [JAMA 315:871, 2016] Clark shows how a patient taught him that what makes the hospital a hospitable place to live and die is “having people,” meaning having genuine human connections around him. This thought, expressed so much better by Clark than by me, circles back to Paul Kalanithi’s observation (last month’s Matula Thoughts) that, for many people, life’s meaning is found in their relationships and connections. These externalities bring meaning to our individuality. When I began this periodic essay for our Department of Urology, alumni, and friends in 2007 I thought it might serve as a sort of electronic journal club and I still harbor hopes that some readers will guest-edit a paragraph or entire issue to join me in this process. (What have you read that you want to tell the rest of us about?) These three articles from A Piece of My Mind are linked and offer much to consider. Hansen-Flaschen’s observation as a patient in the ICU reflects a very particulate level of concern: My visual world reduced to the confines of a small room. The space was both familiar and foreign to me as I looked outward for the first time from the head of a hospital bed. There was both little and much to see. The clock showed the wrong date and time. The sink faucet dripped. Two ceiling tiles were stained by previous water leaks. The harsh overhead lighting cast yawning shadows that provoked my imagination. By comparison to Ebola wards in West Africa last year, the annoyances of inaccurate clocks, ceiling tiles, and dripping faucet are less compelling than the very matter of survival. Yet, in the industrialized world and most expensive health care system on the planet, I wonder why we can’t address these simple matters of hospitality. Our basic “hotel management” is too often inhospitable to patients. Even our newest hospitals can’t coordinate the clocks – why bother to have them if they’re correct only twice a day? Little things are important to patients and visitors, such as working elevator lights, paper towels in clean bathrooms, and general orderliness. Another point to make comes from Thurston’s paper, when he said … after sitting and taking the time to explore his emotions and concerns… We use this phrase a lot – sitting down to talk and listen. Posture in space is not the point, this expression of speech conveys the idea that we are taking time (more time than might be usual or expected) by sitting down to listen and respond. Last month I asked you to consider what might be the big questions in health care and offered a short list with thoughts regarding the first question. a.) What is health care? b.) How should it be provided? c.) How is it improved and how does innovation occur? d.) How is it taught? e.) How is it funded and how are escalating costs managed? The second question follows naturally; if you consider all the things that comprise health care and then imagine the various avenues society can use to provide those things, you need to decide what health care goods every human in a society should have by right. Few could argue that clean air and water, food safety, prevention of communicable disease, along with maternal and pediatric care, are mandatory for everyone in a modern just society. So, too, is care for trauma or other general hazards of life. At the other extreme, some services are purely discretionary – such as Botox for wrinkles or plastic surgery for facelifts. However, things get complicated because Botox for neurogenic bladder is sometimes very necessary, as is plastic surgery for craniofacial reconstruction. No insurance system or single payer system can reasonably satisfy the overall demand for health care – from the fetus to the end of life, the demand curve for health care and the therapeutic possibilities in our toolkit are growing relentlessly. A variety of systems and avenues are necessary, but wise choices need to be made and agreed upon as to what services are mandatory public goods, what services are discretionary, and what robust systems can provide these facets of health care. Four hundred years ago William Harvey, the English physician we referred to last month, began a series of anatomy talks as Lumleian Lecturer at the Royal College of Physicians in London. By coincidence William Shakespeare died just the following week at Stratford-on-Avon. [JAMA 315:1524, 2016] Harvey continued to study and learn while he taught and practiced medicine and 12 years later, in 1628, published some extraordinary findings, cleverly introduced at the annual book fair in Frankfurt, Germany, to ensure wide publicity and dispersion. He offered a novel explanation for the systemic circulation based on the pumping of blood from the heart to the body and brain. The short title of the book was De Motu Cordis, but you will find it on Amazon as On the Motion of the Heart and Blood. Harvey was on my mind last month since his birthday was on that entertaining first day of April, back in 1578. Those were dark times in Europe with civil wars, witchcraft persecution, and sectarian violence, but the spirit of inquiry and discovery was not quiescent. Francis Drake was circumnavigating the globe and European universities were holding their own, for the most part, nurturing ideas and preparing for the next generation that would include Harvey and other bright lights. Harvey came to mind again when I read a review of a new novel called The Heart, by Maylis de Kerangal, a French writer. Being on the road at the time (visiting professor in Houston at Baylor) and intrigued by the review, I succumbed to the temptations of Amazon and ordered the book (apologies to local booksellers Literati and Nicola’s Books). The story takes place in a single 24-hour period, much like the Homeric Odyssey, but it happens in France when a 19-year old dies after a motor vehicle accident. The book runs from the instant the young man wakes up to join friends for morning surfing to the moment the team that transplanted his heart to an older woman leaves a Parisian operating room. The accident and subsequent transplantation of the heart involved many individuals, including the boy, parents, girlfriend, doctors and nurses in the rural hospital, transplant coordinators, transplant teams, and recipient in Paris. The victim and all these people have their own metaphorical “hearts” in terms of their feelings, motivations, and hopes. The personal tragedy, families, health care teams, and hope are all knitted together around a single human heart that transcends the story. The story is compelling, although the translation and a few technical details fall short. 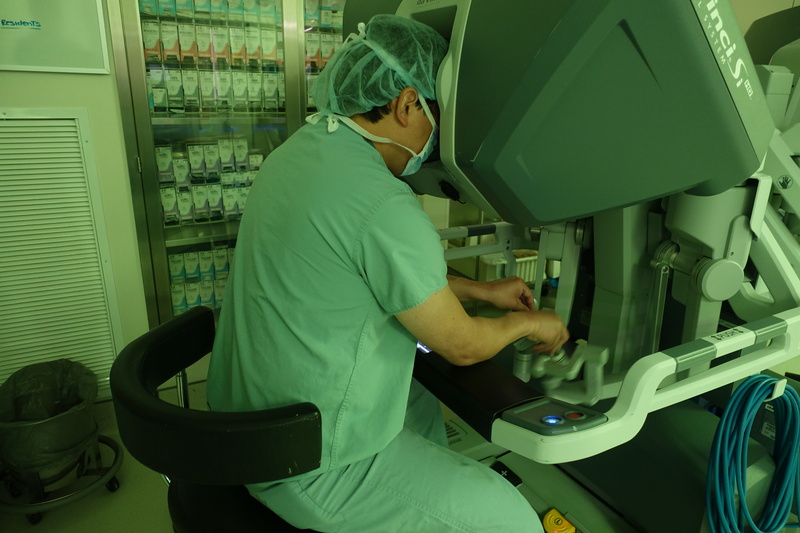 Urologists have a place in the story as the anchor positions in the operating room sequence of the multi-organ harvest. One of the pleasures of academic medicine is the chance to visit great centers of excellence and learn from them while teaching residents. I’ve done my share of these tours, and as my career winds down. I don’t expect to be doing many more, but recently enjoyed such a chance to visit Baylor Medical School and friends at Methodist Hospital. Fannin Boulevard in Houston is one of the world’s greatest constellations of health care assets, a tribute to the life and vision of the great cardiac surgeon, Michael DeBakey (1908-2008), role model to thousands of students, trainees, and colleagues. His surgical and educational contributions are unsurpassed in world-wide medicine. 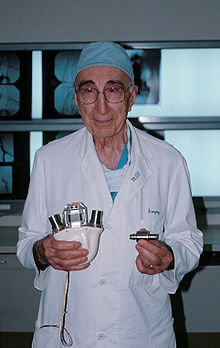 DeBakey’s knitting ranged from Dacron grafts to clinical, educational, and research institutions that resulted in the combination of Baylor Medical College, Methodist Hospital, St. Luke’s Hospital, MD Anderson Cancer Hospital, superb urology training programs at Baylor and the University of Texas Houston, Ben Taub Hospital, Hermann Hospital, Texas A&M programs, etc. 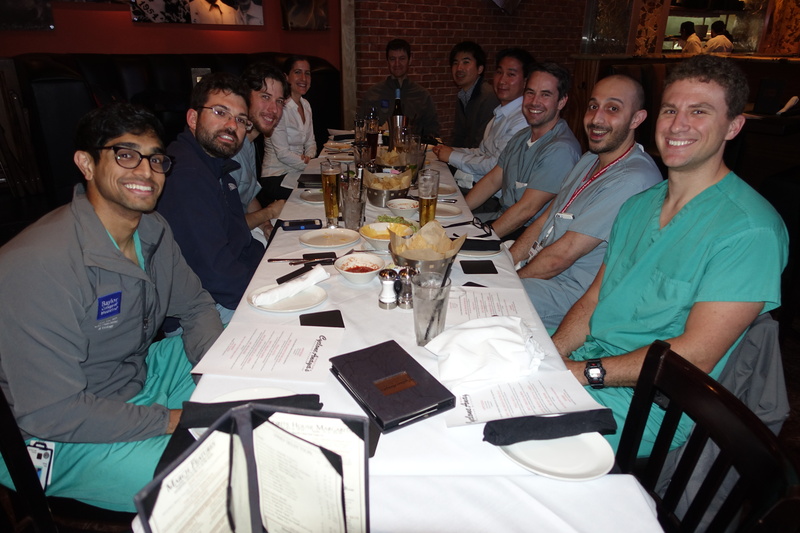 In spite of the institutional breakup, urologists and their educational programs in Houston get along very well and gave me a great 3-day visit. Edmond T. Gonzales, Jr., the founder of pediatric urology in Houston, had been the first partner of Alan Perlmutter in Detroit. 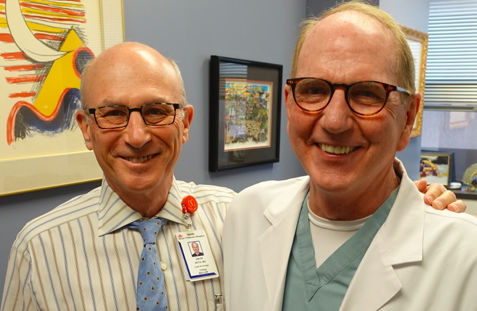 Edmund is a wonderful role model as a pediatric urologist, teacher, and leader. By a rare coincidence he, Ed McGuire, and Jean DeKernion had been on the same dormitory floor as young men in college together in New Orleans. Harvey, DeBakey, and thousands of physiologists and physicians who followed have extracted increasingly detailed knowledge of the heart as a living physical entity, but it takes imaginative exploration of the heart’s metaphysicality, such as Maylis de Kerangal’s penetration of this realm, for complete understanding. Fiction thus builds a better understanding of reality. Ten. UMMS & Department of Urology Notes. Since Jim Montie’s era as chair transitioned to mine in 2007, our department has grown with only modest attrition consisting of Humphrey Atiemo to the Henry Ford System, Jerilyn Latini to Alaska’s Indian Health Service, Dave Wood as CMO of the Beaumont Hospital System, and Jill Macoska as endowed professor at the University of Massachusetts. In terms of joint faculty we lost Ken Pienta to Johns Hopkins. This year, however, we lose four more of our best. Nevertheless, our fulltime faculty will nonetheless grow to around 40 after the loss of Gary Faerber and his wife Kathy Cooney to Salt Lake City (Kathy, our joint faculty member, became chair of Internal Medicine and Gary joined the urology team there), Cheryl Lee to become chair of urology at Ohio State, Stu Wolf to help form a new medical school of the University of Texas at Austin, and the irreplaceable Ann Oldendorf is retiring. On the plus side, Sapan Ambani, Casey Dauw, Priyanka Gupta, Chad Ellimoottil, Arvin George, and Sam Kaffenberger will join our faculty this summer and more candidates are in play for FY 17. Why the growth? Several reasons: A.) Our 7 clinical divisions, although already robust, need more bench depth to accommodate our growing clinical needs and future faculty turn-over; B.) Increasing sub-specialization demands more people in areas of tightly focused practice; and C.) Our newly reorganized UM Health System needs a larger clinical footprint to sustain our educational programs and to remain relevant in the new paradigm of American health care. Residency training programs learn from each other through the recurring interchanges of visiting professorships, national meetings, research collaborations, migrating students and trainees, etc. It is nonetheless healthy for programs to undergo more formal evaluations through internal reviews and external reviewers as we have done recently with Bradley Leibovich of the Mayo Clinic, Mark Litwin of UCLA, and Ed Sabanegh of the Cleveland Clinic. They were superbly analytical and very helpful. 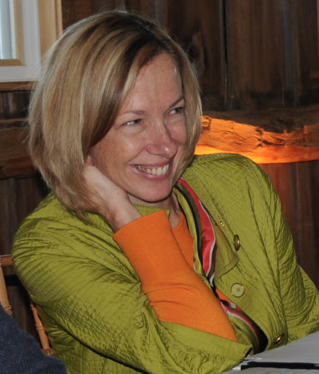 Most recent news: Carol Bradford, our chair of Otolaryngology, was named by Marschall Runge and the Regents as inaugural Executive Vice Dean for Academic Affairs, as the UMMS puts a new structural paradigm in place. Thanks for looking at our monthly commentary for May 2016.